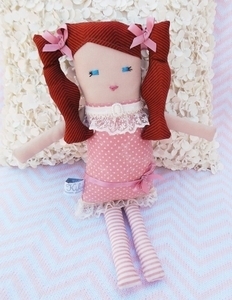 This Amelia handcrafted doll is the perfect gift for that special little girl in your life! 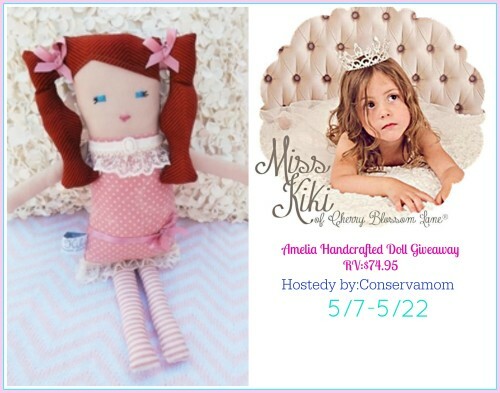 The Miss Kiki of Cherry Blossom Lane is a line of one of a kind handcrafted dolls. They are unique, petite luxury companion dolls for collection, keepsake or play. Each designer artisan handcrafted doll is one of its kind, measures 25-30cm tall and is designed and crafted in their Australian studio. We are giving away one Miss Kiki of Cherry Blossom Lane Amelia Doll to a lucky fan! Enter to win below and good luck everyone! 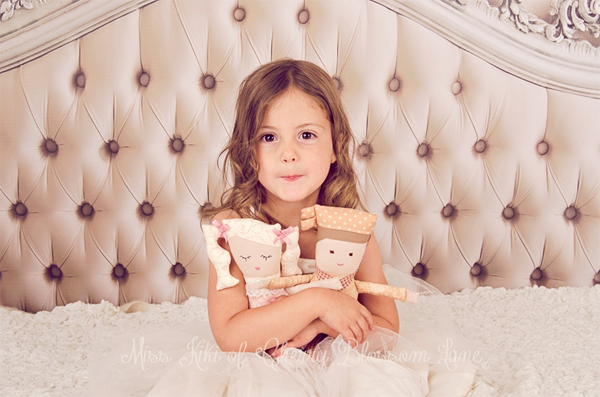 Created with the finest designer fabrics, laces and embellishments sourced from around the world, each doll is filled with 100% eco-friendly corn fibre filling, and presents named and vanilla scented in a handcrafted organza slip. Every Miss Kiki doll has the hand embroidered Kiki derriere and comes with a Certificate of Authenticity embossed with their signature. These beautiful dolls are one of a kind handcrafted beauty that is a must in every little girl’s collection. One lucky reader will win their very own Miss Kiki of Cherry Blossom Lane Amelia Doll. Giveaway is open to US only and ends on May 22 at 11:59 pm EST. Enter for your chance to win via the rafflecopter form below and good luck! I like Peyton the Prepster doll,so cute! I like the Miss Kiki Doll – Cordelia . Miss Kiki Doll- I like Addison. My favorite Miss Kiki Doll is Katy. I like Sweetling Doll Annie. They’re all so gorgeous! I love the Clemintine doll. I love the Miss Kiki Doll – Lily!